Wonder how Dave's visit from Siglent management went today? I think Dave handed out some books called 'programming for dummies'. eBay usage guide would be more useful. Expect new teardowns and maybe reviews. Very well, I'm impressed by the CEO, he's a nerd like us. I got a short impromptu chat on camera. Bit hard to be candid due to the language difficulties (all the difficultly on my part of course because his English is infinitely better than my Chinese ), but got some interesting info. I get the impression they really have a handle on things, expect them to improve in leaps and bounds. They spend 20% of their revenue on R&D, and have 1/3rd of the staff in R&D, roughly half/half hardware/software. I got a bench meter and their new PSU, but they will have the go back too shortly. I hate to be negative here but even the nerdy CEOs tend to spout a lot of BS about products being ready on time. That is why they are in a suit travelling around instead of handling a soldering iron. Seeing is believing. Hope you get it/one to check out soon, you've been waiting long enough. but even the nerdy CEOs tend to spout a lot of BS about products being ready on time. ... Seeing is believing. I agree with you that "seeing is believing". And "actions speak louder than words", for that matter. I also understand that you got burned with your experience with your Siglent scope, and it's natural you'd be upset about that. Anyone would. What I wonder though is if there isn't some benefit to giving them an opportunity to demonstrate whether things are improving on their end, with the new models, or not? Your skepticism is well-deserved, but condemning them in advance, without even seeing what they have, doesn't make much sense to me. It seems both premature, and speculative. Would you prefer that they just go down in flames, and no one ever considers their instrumentation options? Or that they learn from their mistakes and produce quality products that are cost-effective and solid tools? Personally I'd consider more options to be a good thing, because it fosters competition. Without that, things will stagnate, and there won't be any incentive for anyone to keep working on increasing the "bang for the buck". I'm pretty sure there will be plenty of time to flame-broil them (or praise them), once the new X-series units become more available, and reviewers have had an opportunity to both evaluate them, and report on their findings. In general I would agree, but there's the fact that very recently Siglent was caught manipulating ebay sales in an illegal manner. As to the SDS2000, they have a very long track record of promising improvement and delivering either nothing or in the best case some updates which fixed a few minor bugs while introducing new ones. Plus I found two bugs in their new v2 firmware of which at least one (trace offset from zero line lower v/div settings) has been confirmed by someone else, and I just played around with the new firmware for less than an hour. Frankly, at what, 18 months after the scope came to market, such bugs should not be present in a new firmware. That is all well and nice, but I get the feeling that many people in that forum are cutting Chinese B-brands like Siglent and Rigol way more slack than they deserve. I guess some have that image of a small startup with young, sympathetic graduates in mind, pretty much the image of a typical Kickstarter project. However, the reality is that Siglent is not a startup, they are not even a young company (Siglent was founded in 2002!). They are producing scopes for 13 years now, and after more than a decade in business they really should have sorted things out by now. The fact that they haven't shows pretty clear that their business model is based on decent hardware with somewhat working firmware to keep costs down, and investing in better firmware pretty much means a higher cost base with not necessarily a big enough return through more sales. Rigol is essentially the same. I think people should stop romanticizing these Chinese brands, and take them for what they are, which is not the "underdog that fights the evil big brands" but a business revolving about selling test gear at a very low price. Which works great for bottom-of-the-barrel scopes like the Rigol DS1000z or the Siglent SDS1000CML/CNL/X where the price makes up for the bugs and issues, and which have given beginners incredibly cheap starter scopes. But once you climb higher then things change because when people pretty much pay close to big brand prices then they rightfully expect pretty much big brand quality, and that's where Siglent's and Rigol's business model fails. I think they should spent 70% in software then. I'm scared and deciding if savign for Rigol DS1054Z firmware or this. If they are brave enough, they should Open Source their firmware in GitHub and prepare the source code to be massively documented. This way, the community would collaborate on improving the firmware.They would be able to focus a bit more in hardware and gets tons of testers. This would need a different business model, but a very disruptive one towards low cost manufacturing. It would eat the market if managed very smartly and with very well done international management all over the world, from students to high end stuff. But once you climb higher then things change because when people pretty much pay close to big brand prices then they rightfully expect pretty much big brand quality, and that's where Siglent's and Rigol's business model fails. I think this pretty much sums up my feelings as well. edit: there still is a big void between the $400 entry level oscilloscopes and the professional scopes which start at $4000 so plenty of oportunities for putting a good product out there. I don't know, there are good big brand scopes in the below $4k price class, i.e. the WaveSurfer 3000 (starts at $3k), the Keysight DSOX3kT (a nice scope if you can live with its small memory and limited FFT), or the Hameg R&S Value Line HMO Series. There are quite a few good options even if you're on a limited budget, you don't have to go B-brand. And then there's still the 2nd hand market. True, but then that's a Tektronix scope your example is talking about so that isn't surprising. But aside from maybe Tek (which these days is pretty much at the bottom of the food chain in terms of big brands, and is there for a reason) show-stopping bugs are very rare in big brand scopes, and if they occur they'll get fixed very quickly. If you look at base prices yes but you typically want 4 channels, reasonable bandwidth and a few options so you'll end up over $4k quickly! True, but don't forget that the high bandwidth 4ch B-brand scopes aren't that cheap, either. They only become cheap if you go for the basic low bandwidth version and hack it. I'm not sure there is enough money in the <$3k for a decent 4ch scope with a bit more bandwidth, some options, especially when maturity is a concern. But remanufactured could be an option (used instruments that look like new and carry as-new warranty, i.e. Keysight CertiPrime). Or, failing that, a newer 2nd hand scopes and maybe some additional warranty/repair package. Brilliant! They fixed both the bugs I had reported earlier on this thread (persistence not working properly, and serial decode disappears when the left edge scrolls off the screen). The scope feels a lot more responsive now with the new firmware. It doesn't noticeably slow down when measurements are enabled. Thanks, Siglent, and thanks Tautech! What about protocol decoding on logical channels, still not supported ? Siglent USA GM advises me it is supported, he's used it and sorry my 2000X is on the way and I can't check for sure at this time. Mmmh, i could be wrong but i can only see bus decoding and bus trigger tests (with some alignment issues), no sign of UART,SPI or similar protocol decoding on LA lines. I hope to have images and confirmation of digital channel decoding for you soon. Works for me. I tried acquiring a serial stream from an arduino with both analog and digital channels. Serial decode works fine on both. I had them both on screen at the same time, did not notice any skew between the analog, digital and decoded results. See the attached image. 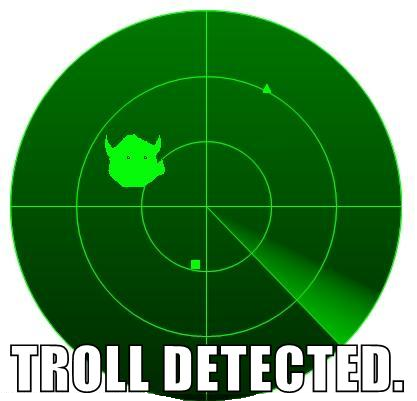 I know, I know, I shouldn't feed the troll, but even before the firmware update it worked fine as a regular scope. I mentioned finite persistence mode and serial decode, both rather specialist uses for a scope. Whatever makes you feel better, I guess. Works for me. I tried acquiring a serial stream from an arduino with both analog and digital channels. Serial decode works fine on both. I had them both on screen at the same time, did not notice any skew between the analog, digital and decoded results. I mentioned finite persistence mode and serial decode, both rather specialist uses for a scope. I use both persistence and serial decode very often (and I'm likely not the only one) so I wouldn't call that specialist uses. I wonder if you'd be so lenient if you bought a new car and the salesman tells you they will install the handle to open the trunk maybe somewhere in the future.... But indeed let's not go there again.